AB9 Base Jacks are designed as a falsework application, and are generally used on ground works applications. AB9 Base Jacks are manufactured from a rolled thread tubular process, which SCP pioneered throughout the scaffold industry. The rolled thread tubular process offers an approximate weight reduction of 50%, but maintains and exceeds the strength of a solid cut bar as non of the material is cut away. This improves handling and lowers transport costs. 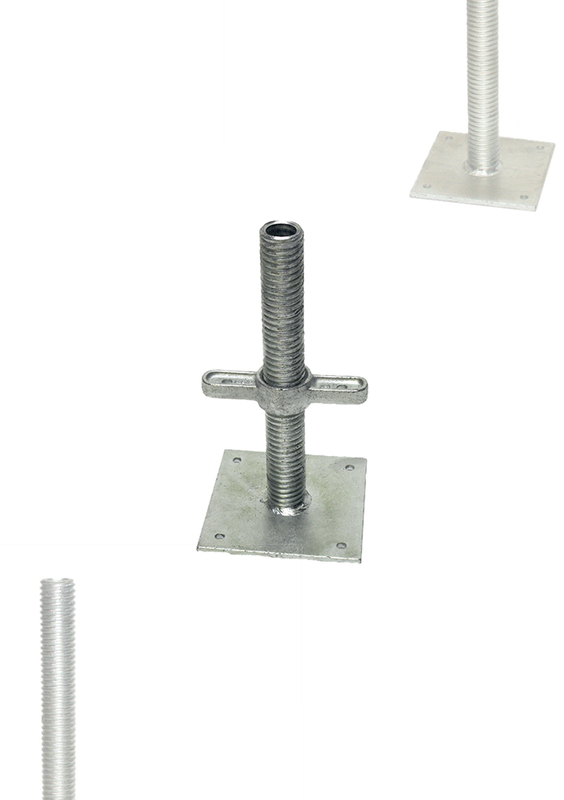 AB9 Base Jacks are independently tested and comply with Metal Scaffolding Standards BS1139 and EN74.